Pictures of journalists murdered in Mexico are displayed during a May 2017 protest in Mexico City Pictures of journalists murdered in Mexico are displayed during a May 2017 protest in Mexico City (AFP Photo/YURI CORTEZ)Mexico City (AFP) – A Mexican radio journalist was shot dead Saturday in a restaurant in Tabasco state, east of the capital, the latest victim in what has become one of the world’s deadliest countries for the press.Jesus Ramos Rodriguez was killed in the town of Emiliano Zapata, an official from the local prosecutor’s office told AFP.According to local media, Ramos had hosted a news bulletin for the 99.9 FM radio station for more than two decades.The El Universal daily quoted witnesses as saying his assailant got out of a car and headed straight towards him, shooting him more than eight times at point blank range.Also weeks after a community radio station director was murdered in the northern state of Baja California Sur, in the first such case of 2019.Rafael Murua, who had received death threats for his work, was found dead in a ditch on January 20, after being reported missing.Murua, 34, had been under the Mexican government’s protection program for journalists and rights activists.Racked by violent crime linked to the country’s drug war and fueled by political corruption, Mexico has registered more than 100 journalist murders since 2000, with 10 killed last year alone.In December 2018, watchdog group Reporters Without Borders ranked Mexico the third-most-dangerous country for reporters after war-torn Afghanistan and Syria.The vast majority of cases have gone unpunished — as do more than 90 percent of violent crimes in Mexico. News Mexican journalist killed in Gulf Coast state of Tabasco Associated Press• February 9, 2019 MEXICO CITY (AP) — Officials say a Mexican journalist has been gunned down in the Gulf Coast state of Tabasco.The state attorney general’s office said in a statement that radio journalist Jesus Ramos was shot and killed early Saturday.Local media outlets reported that Ramos received multiple bullet wounds while eating breakfast at a restaurant that he frequented.Ramos is the second journalist to be killed in Mexico this year. 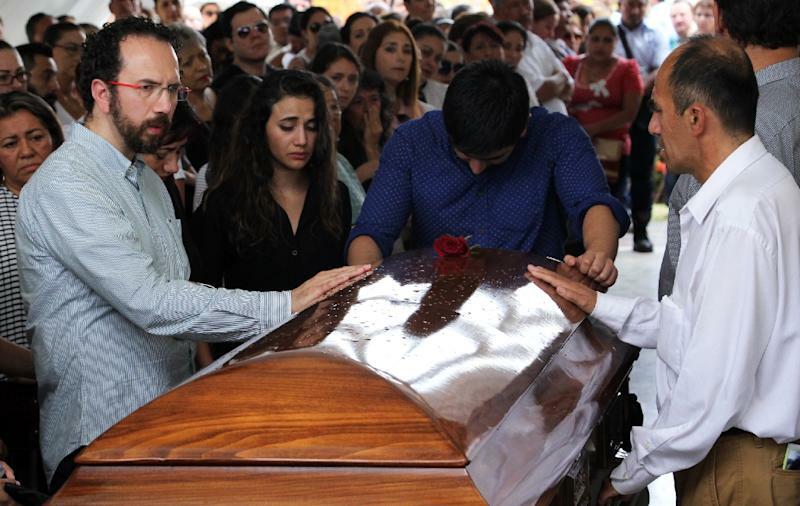 In January, the director of a community radio station was killed and dumped along a roadside in Baja California Sur. 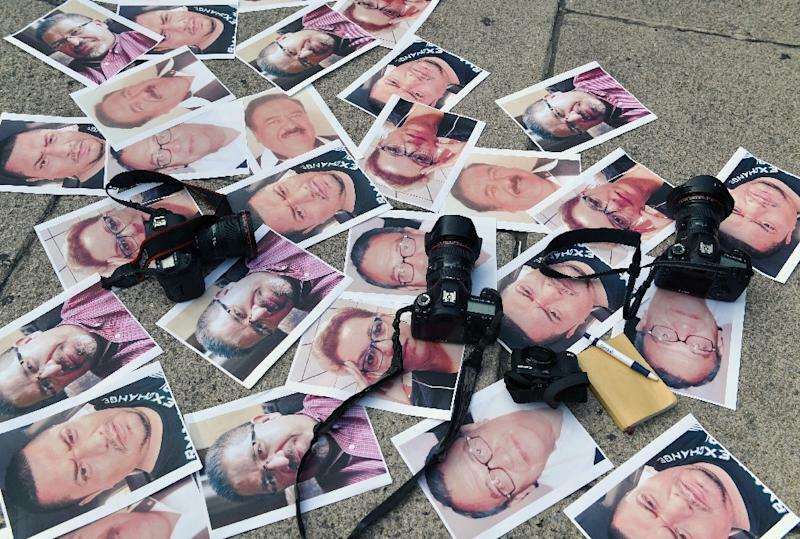 The country currently ranks seventh by the Committee to Protect Journalists’ impunity index, which tallies the number of unsolved journalist murders as a percentage of a country’s population in places where it is dangerous to work. 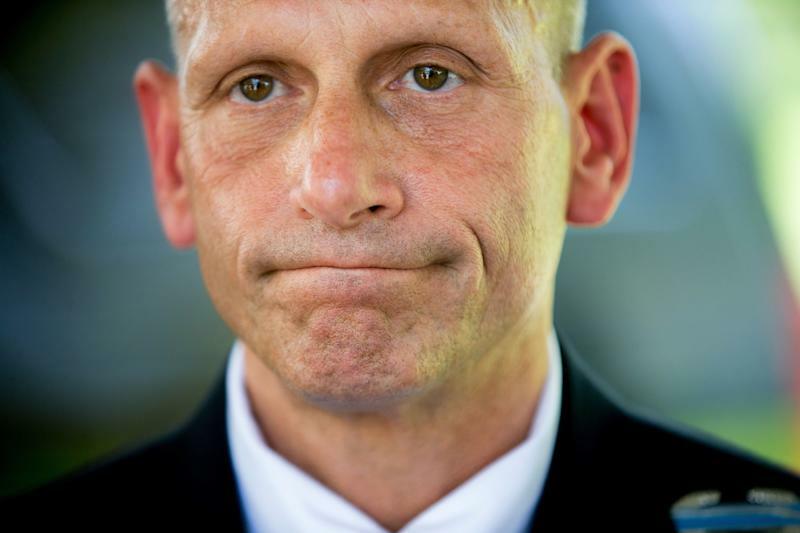 Like Bolduc, Schloesser knows exactly how many soldiers he lost there. “I’ve got a lot of skin in that game,” said Schloesser, whose son and daughter later served in Afghanistan. “I lost 184 soldiers there.” But Schloesser said that any peace deal with the Taliban should include a U.S. role as “guarantor” of the peace, along with a residual military force to ensure that the Taliban kept their side of the bargain. “It wouldn’t have to be large,” Schloesser said of his proposed stay-behind force. “It could be a couple of thousand” or fewer special operations forces “with a real capability on the ground,” as well as an 800-soldier Army Security Force Assistance Brigade to help train Afghan security forces, he said. The United States has “a national interest” in the Afghanistan region, Schloesser said. “If we don’t play a role, other countries that are peer competitors to us will,” he added, citing China as an example. The retired general who commanded a brigade in Afghanistan early in the war agreed that the United States should insist on leaving behind a residual force of several thousand troops combining a counterterrorism-focused special operations task force and an advisory contingent. 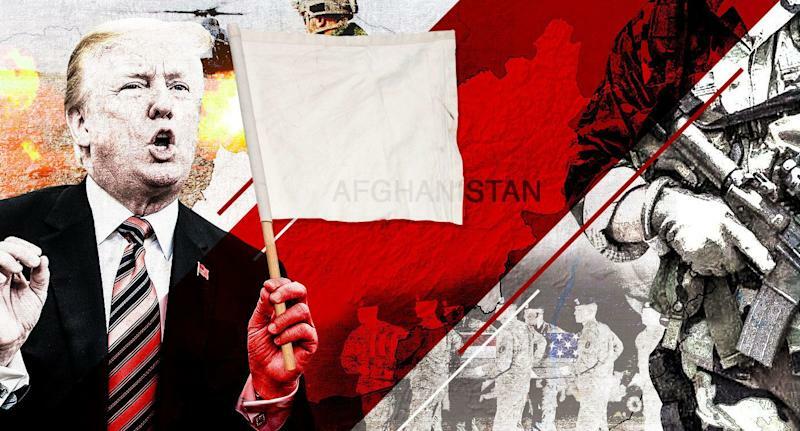 Like others, he was concerned that by making clear a desire to withdraw militarily as soon as possible, at the same time that the Taliban are enjoying greater battlefield success, the United States would be handing the initiative to its enemies. 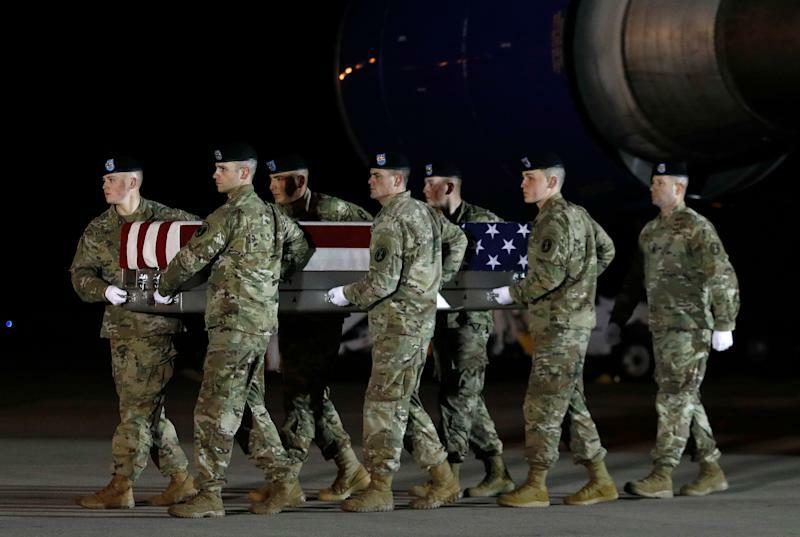 Seventeen U.S. troops were killed in Afghanistan in 2018, and three so far this year. There are about 14,000 U.S. troops deployed there, although President Trump has ordered that number halved in the coming months. “Frankly, it seems to me that we should be able to sustain this commitment, given the importance of our policy objectives and the sustainability in terms of the cost,” Petraeus wrote. VILNIUS (Reuters) – About 100 financial companies and start-ups from Britain and elsewhere are applying for a licence in burgeoning fintech hub Lithuania to ensure they have access to the European Union after Brexit, the country’s central bank told Reuters. Britain is due to leave the European Union on March 29, but has not yet reached a deal on a post-Brexit relationship, meaning companies with UK-issued licences may no longer have the right to provide some financial services in the EU. The companies, a quarter of which hail from Britain, are looking to get electronic money institution licences, Marius Jurgilas, member of the board at the central bank, told Reuters in an interview. „It seems that the companies, many of which are quite large, are behaving like a student who only starts worrying on the eve of an exam,” he said. He said Lithuania can process an electronic money institution licence application in as little as three months, compared to about a year in some EU countries, giving it an advantage over other fintech centres such as Luxembourg, Ireland or Belgium. „It is an onslaught … We do not have the resources to process all the applicants. We have to pick-and-choose, prioritising the least risky applicants,” said Jurgilas, who did not provide names of the companies due to confidentiality rules. Ireland’s central bank said in October that it had seen a surge in financial services firms seeking to set up or extend their operations in Ireland as a result of Brexit and is processing over 100 applications. Lithuania began attracting fintech companies a few years ago, and as of January has issued a total of 83 licences to such firms, second only to Britain among European Union countries, according to government figures. The newcomers include a payment arm of Alphabet Inc’s Google and Revolut, a British digital-only bank, and Jurgilas said the central bank is ready to step up its oversight capabilities as the sector grows. Jurgilas dismissed suggestions that firms were drawn to Lithuania by a benign regulatory regime. The „European Union has institutions which make sure that market supervisors in all its countries, including Lithuania, work to the same standard, and if any Lithuanian-registered bank grows into significant size, its supervision will be taken over by the European Central Bank”, he said. 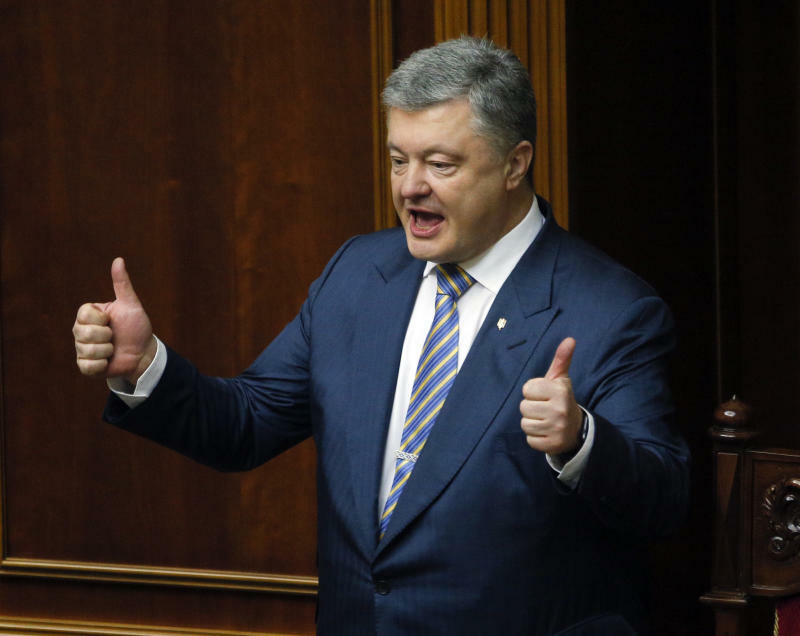 KIEV, Ukraine (AP) — Ukraine must join the European Union and NATO to protect itself from Russia’s expansionist actions, Ukraine’s president said Saturday as he officially launched his re-election campaign. „Only full-fledged membership in the European Union and NATO can decisively and irrevocably guarantee our independence, national security, freedom and well-being,” Poroshenko told supporters in Kiev, the Ukrainian capital. Opinion polls show Poroshenko trailing behind comedian Volodymyr Zelenskiy, who plays the nation’s president in a hugely popular TV series, and former Prime Minister Yulia Tymoshenko. Election officials said Friday that a record 44 candidates have registered for the March vote — including an obscure man who has the same last name and initials as Tymoshenko. She accused Poroshenko on Friday of trying to confuse voters and erode her support with the man’s inclusion on the ballot. The nation has a long history of vote-rigging and other election fraud. Ukraine has struggled economically following Russia’s 2014 annexation of Crimea and its support for separatists in eastern Ukraine, leading to a sharp decline in living standards that has hurt Poroshenko’s image. The government’s failure to combat corruption has also eroded his popularity. Poroshenko has sought to shore up his sagging support by spearheading the creation of a new Ukrainian Orthodox Church independent from Moscow Patriarchy. Earlier this month, the newly elected head of the independent Ukrainian Orthodox Church officially assumed office in Kiev, a month after the church severed its centuries-long ties with the Russian Orthodox Church. Metropolitan Epiphanius I, 40, was enthroned during a lavish service at St. Sophia Cathedral on Feb. 3 that was attended by both Poroshenko and Tymoshenko. (Bloomberg) — After partnering with Uruguay to promote political dialog in Venezuela, Mexico now finds itself nearly alone in not calling for elections in the country. Uruguay today joined officials in Europe and Latin America in backing new presidential elections in Venezuela. Only Mexico and Bolivia refused to sign a statement issued by the group of nations working as the International Contact Group on Venezuela. Mexico’s constitution prevents it from supporting political interference in other countries, Mexican Foreign Affairs Minister Marcelo Ebrard said, according to a transcript of his remarks at a press conference in Montevideo. The country can’t act in any way that determines elections elsewhere, he said. Mexico, Uruguay and Caribbean nations previously outlined four stages to resolve the impasse in Venezuela, which did not include a call for presidential elections. Ebrard said that this regional proposal, unlike the Contact Group, placed no conditions on Venezuela’s government and opposition, emphasizing an open dialog. Venezuela National Assembly President Juan Guaido, who declared himself president on Jan. 23, has gained the support of the U.S. and most Latin American and European nations. China, Russia and Turkey support President Nicolas Maduro, who says the oil-hungry U.S. is interfering to get its hands on Venezuela’s heavy crude. Maduro has said he supports Mexico’s efforts for political dialog. Bolivia Foreign Minister Diego Pary, whose country has been a long-time ally of Maduro’s, said that Venezuelans themselves must decide the way out of their political crisis. Former senior Mexican diplomat Andres Rozental said that President Andres Manuel Lopez Obrador was using an old interpretation of the constitution as an excuse. “There’s nothing neutral about Mexico’s position because in practice it validates Maduro’s re-election,” Rozental said in an interview. –With assistance from Carlos Manuel Rodriguez. Qamishli (Syria) (AFP) – The US-backed Syrian Democratic Forces said Saturday it had begun the „final battle” to oust the Islamic State group from the last scrap of territory it holds in eastern Syria. IS overran large parts of the country and neighbouring Iraq in 2014, declaring a „caliphate” there, but various military offensives have reduced it to a fragment. 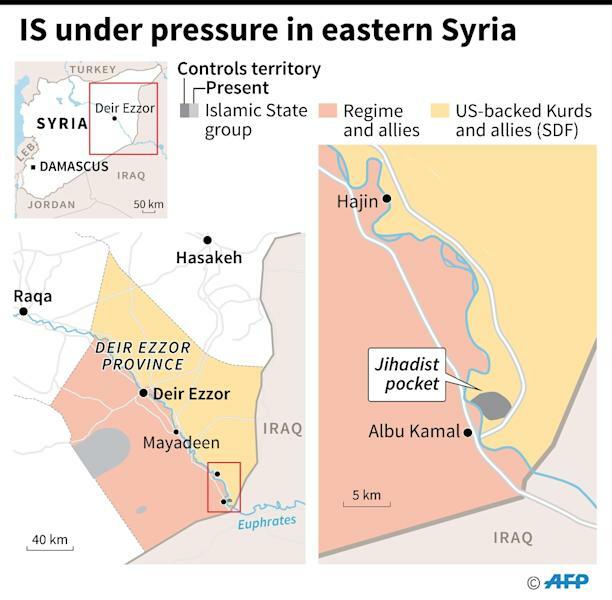 Backed by air strikes of the US-led coalition against IS, the Kurdish-Arab alliance has in recent months cornered the jihadists in a final pocket of territory in Syria’s eastern province of Deir Ezzor. After a pause of more than a week to allow civilians to flee, the SDF said Saturday it had resumed the fight to seize the last four-square-kilometre (one-square-mile) patch from the jihadists. „The SDF have launched the final battle to crush IS… in the village of Baghouz,” the SDF said in a statement. 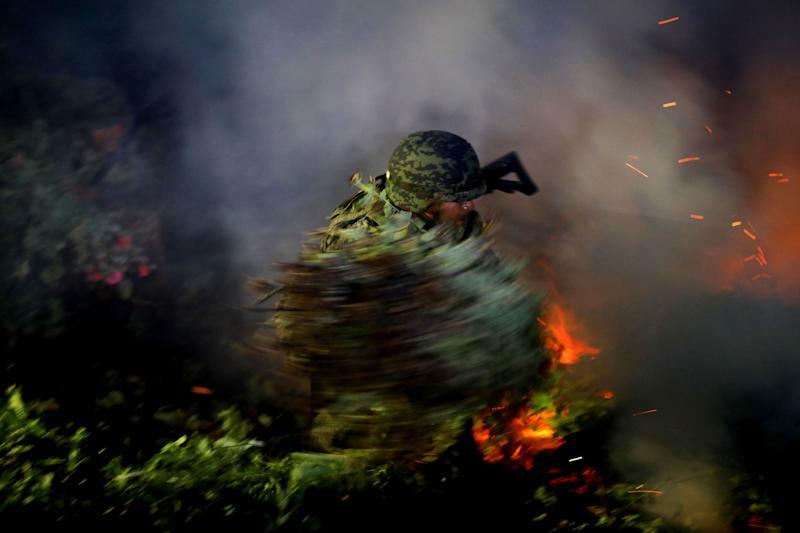 „After ten days of evacuating more than 20,000 civilians… the battle was launched tonight” to wipe out the last remnants of the organisation, it said. „This battle will be sealed in the coming days,” he added. Bali said there could be up to 600 IS fighters still inside the pocket, most of them foreigners. Hundreds of civilians are also believed to be inside. „We have special units whose job it is to direct civilians to corridors they can cross” to safety, he said. Near the battlefield, an SDF spokesman at the Omar oil field turned military base said „progress is slow”. At the height of its rule, IS controlled territory the size of Britain. But a series of separate military operations, including by the SDF, have left its proto-state in tatters. On Thursday, the coalition said the „caliphate” had massively shrunk. Major General Christopher Ghika, the coalition’s deputy commander, described the size of the last IS pocket as „now less than one percent of the original caliphate”. More than 37,000 people, mostly wives and children of jihadist fighters, have fled IS territory since the SDF intensified its offensive in December, according to the Syrian Observatory for Human Rights. The Britain-based war monitor has said that figure includes some 3,200 suspected jihadists. Bali, of the SDF, said that „in the last two months, most who handed themselves in or were arrested were foreign”. 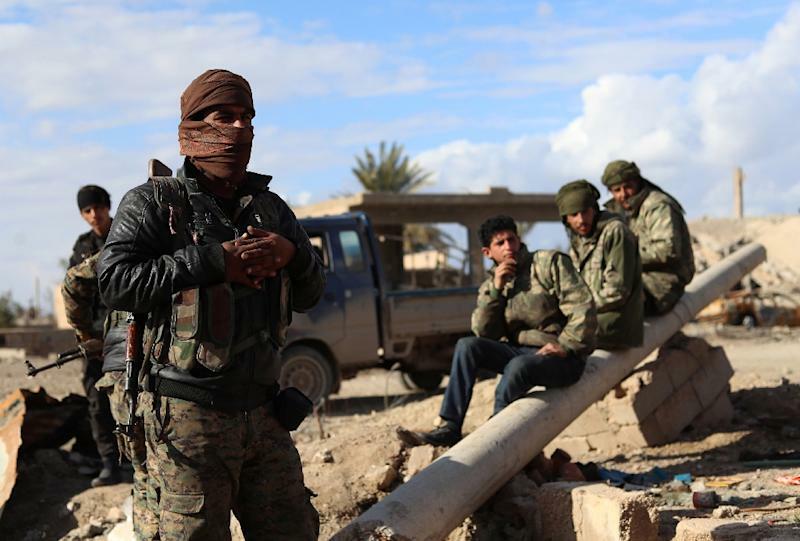 The SDF launched an operation to expel IS from Deir Ezzor in September, and has slowly advanced against IS despite the jihadists putting up a fierce fightback. In that time, more than 1,200 IS militants, more than 670 SDF fighters, and around 400 civilians have been killed in the fighting, the Observatory says. 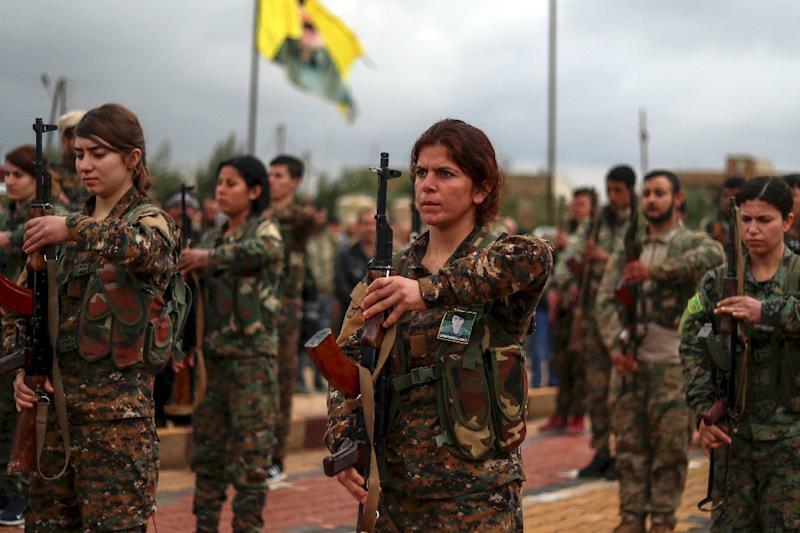 The Kurdish People’s Protection Units (YPG) and their female equivalent, the Women’s Protection Units (YPJ), have formed the backbone of the SDF. In the northeastern Kurdish-majority city of Qamishli on Saturday, SDF fighters stood to attention at the funeral of a YPJ fighter who died fighting IS. Fellow combatants carried a coffin draped in the Kurdish colours of red, yellow and green, covered in pink flowers and adorned with a picture of the young woman. Near her coffin, a mourner held up a doll dressed in a bridal gown, part of tradition for young women fighters who die before they are married. Despite its „caliphate” being on the brink of collapse, IS still retains a presence in Syria’s vast Badia desert and has carried out deadly attacks in SDF-held territory. Syria’s war has killed more than 360,000 people and displaced millions since it erupted in 2011 with the brutal repression of anti-government protests. The country’s Kurds have largely stayed out of the conflict, instead developing semi-autonomous institutions in parts of the country’s northeast under their control. Neighbouring Turkey sees Syrian Kurdish fighters as „terrorists” and has repeatedly threatened to attack YPG-held areas along its southern border. The US military presence in Syria has offered the Kurds a measure of protection against any Turkish offensive. But in December Washington announced it would pull out all its troops from Syria, sending Kurdish authorities scrambling to mend fences with the regime in Damascus. Almost eight years into the war, President Bashar al-Assad’s regime has advanced against rebels and jihadists, and holds nearly two-thirds of the country. Damascus has rejected Kurdish self-rule, and has said it would eventually return the oil-rich third of the country now beld by the SDF to government control. 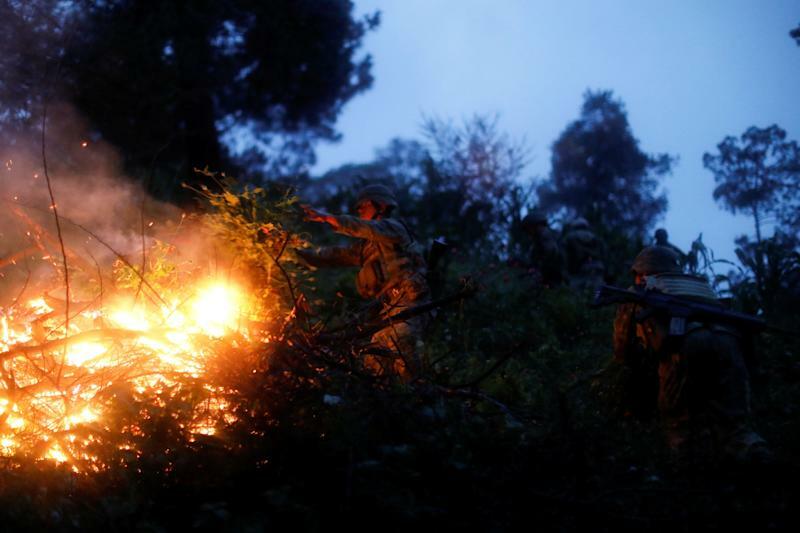 Despite unprecedented violence across the country, Mexican President Andrés Manuel López Obrador said last week that the government had „officially” ended its war against drug trafficking, a military-led offensive launched in 2006 that led to a surge in bloodshed as criminal groups splintered. 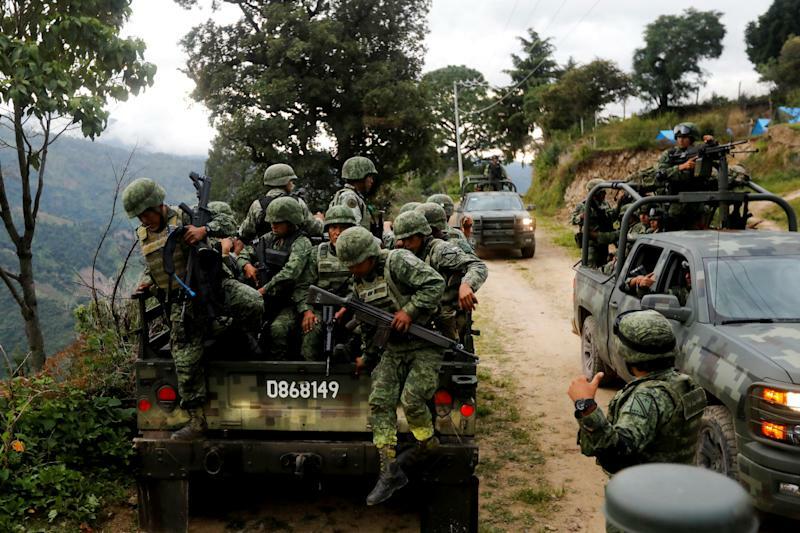 López Obrador has not entirely turned his back on using soldiers to tackle violence stemming from drugs, as he plans to create a new militarized National Guard police force. But he is also exploring a crop substitution program, relaxing prohibition and amnesties for low-level drug dealers and farmers. 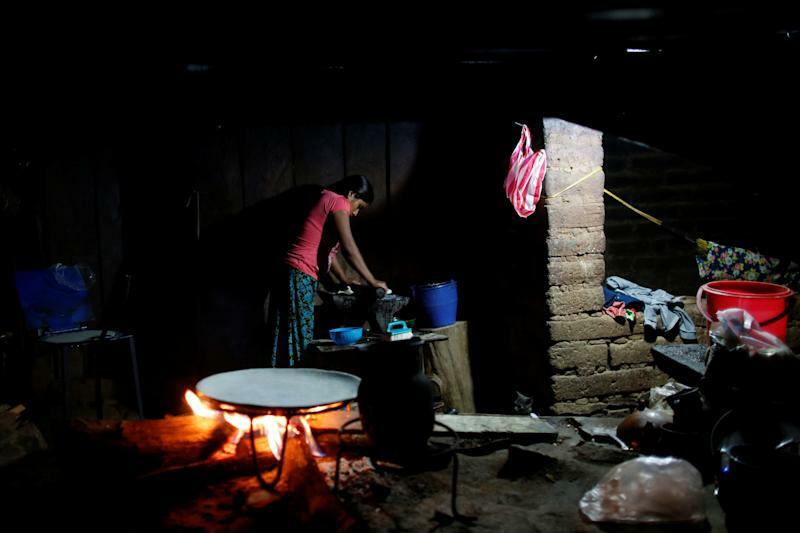 On a visit to Guerrero in January, López Obrador pledged price supports for grains, including around $300 a tonne for corn, part of a strategy meant to give farmers alternatives to planting illicit crops. „Here, in the hills, we are going to pay a little more, so that corn is planted and people are compensated for their effort. So that other crops are not planted,” he said. 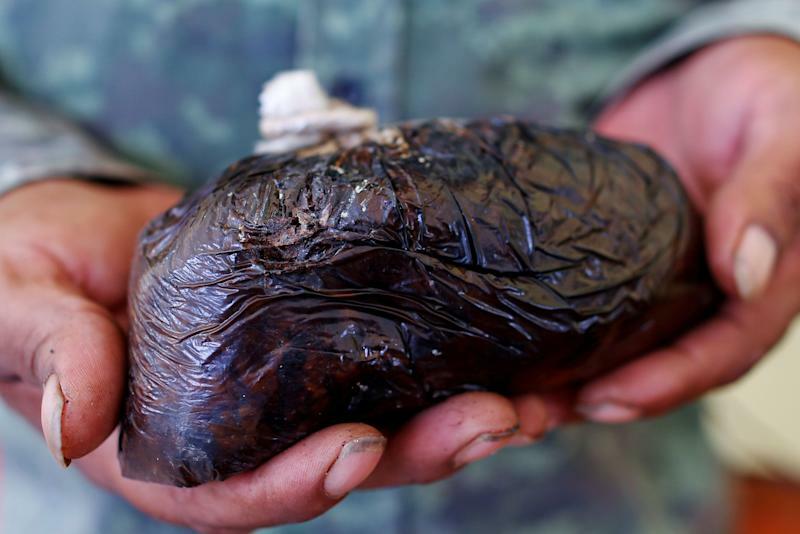 López Obrador has backed a bill to legalize marijuana, and along with the former head of Mexico’s military and other members of his team, he suggested last autumn that legalizing medical opium could be part of the solution. The government appears to be backing away from that idea after opposition from the United States. 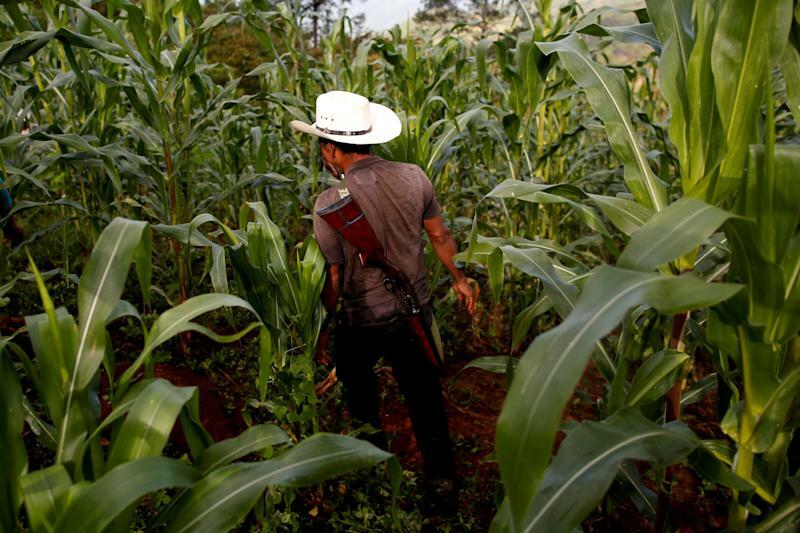 The farmers in Juquila Yucucani do not consider themselves criminals, and say current poppy eradication efforts by the army also sometimes destroy legal crops. 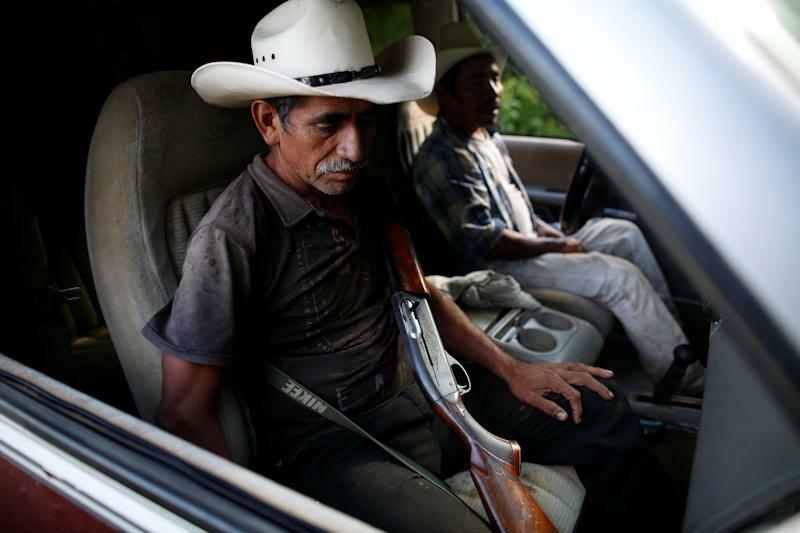 „They have killed the food crops that my family use to eat,” said Lazaro Lopez, 65, who said the military should apologize. Although Reuters could not independently verify Lopez’s account, human rights groups have documented military abuses in parts of Guerrero. The army did not respond to requests for comment for this story. For Sanchez, who said his village would embrace legalization, crop substitution is a poor alternative. Other than poppies, few plants take to the thin soil on Juquila Yucucani’s stony slopes. Some land is apt for planting mango or avocado trees, Sanchez said, but they would take years to mature. The narrow ribbon of twisted dirt road connecting the village to the outside world would make it almost impossible to transport bulky or delicate crops to markets, he added. Arturo Garcia, a farmers rights activist in the state, said the government’s new ideas would work only if a sustained and well-funded effort were made to offer residents a way out of the drug trade. „The state must throw all its weight into this region so that it begins to alleviate the conditions that have allowed violence,” he said. 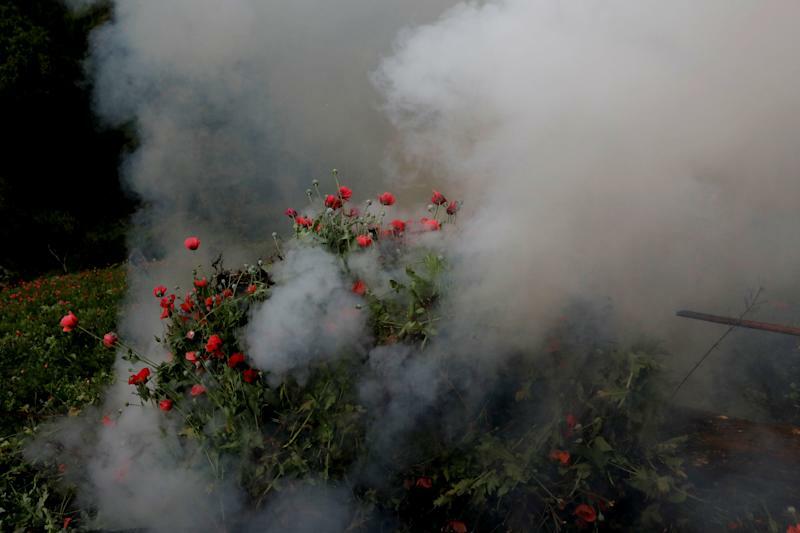 For now, several hours journey from the nearest hospitals or schools, Juquila Yucucani’s poppy farmers say they have two choices to make a living: enter illegally into the United States, or grow poppies. 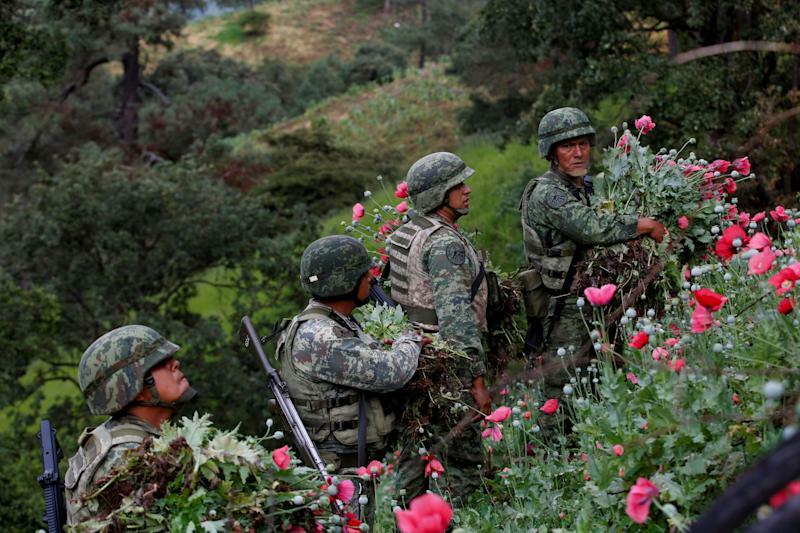 „We are not drug traffickers, we want a dignified life,” said elderly Nieves Garcia, who has grown poppies since she was a child and speaks a variant of the indigenous Mixtec language, but no Spanish. „My kids have left this place because there’s no way of getting ahead,” she said. 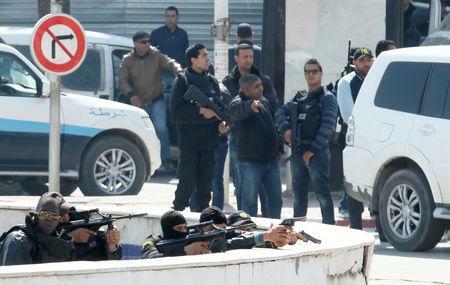 TUNIS (Reuters) – A Tunisian court jailed seven people for life on Saturday for their involvement in two deadly militant attacks in 2015, one on a museum in Tunis and the other on a hotel in a Mediterranean resort. Other defendants received jail sentences ranging from 16 years to six months, state news agency TAP quoted court spokesman Soufiane Sliti as saying. In all, 51 suspects stood trial, of whom 27 were acquitted, in hearings that lasted 18 months. 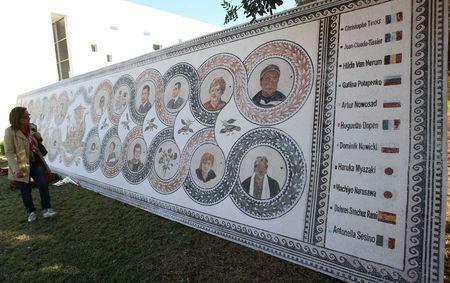 The assault on the Bardo National Museum left 21 people dead, while 38 were killed in the beach resort of Sousse, some 150 kilometers (90 miles) south of the capital. Islamic State claimed both attacks. 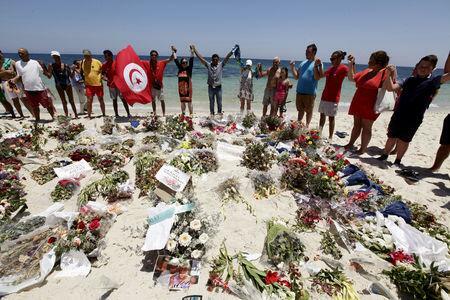 The twin massacres, which took place within three months of each other, devastated Tunisia’s economy – tourism is a major earner of foreign currency that accounts for about 8 percent of gross domestic product – as major European tour operators took flight. The attacks also acted as a brake on political reforms hailed as a model of democratic transition following its 2011 ‘Arab Spring’ uprising. Tunisia remains one of the most secular countries in the Arab world, but authorities estimate about 3,000 of its citizens have joined Islamic State and other jihadist groups in Iraq, Syria and Libya. Tourists have gradually returned as security has been stepped up, and Tunisia attracted a record 8.3 million visitors in 2018 as hotels were filled with holidaymakers from Algeria, Russia and other parts of Europe. An American Airlines flight from England to Philadelphia was canceled after the 62-year-old pilot was arrested on suspicion of being drunk. According to The Independent, the pilot was arrested on Thursday morning at the Manchester Airport on suspicion of “performing an aviation function when over the prescribed limit of alcohol.” He was one of three pilots aboard Flight AA735. All customers on the canceled flight were rebooked onto another flight, according to the outlet. Greater Manchester Police report that the pilot, whose name has not been made public, has been released on bail and is pending further investigation.